The Orioles' Jonathan Sorenson scored twice and added an assist to deflate Trojans' chances. St. Louis Park had two of its top scorers out of the lineup Friday because of injuries. No matter. The Orioles still managed to beat Wayzata 3-1, despite being heavily outshot. 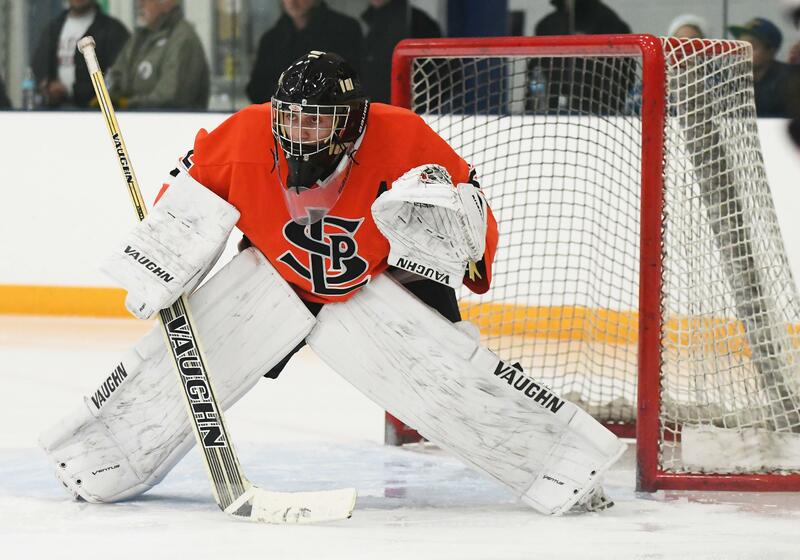 The Orioles (6-5-1) got a pair of goals from Jonathan Sorenson, a game-winner from Sam Baker and a spectacular, 32-save effort from Atticus Raasch for the victory in a battle of Class 2A, Section 6 teams Friday night at Plymouth Ice Center. It’s just the third season that St. Louis Park has played Class 2A hockey. 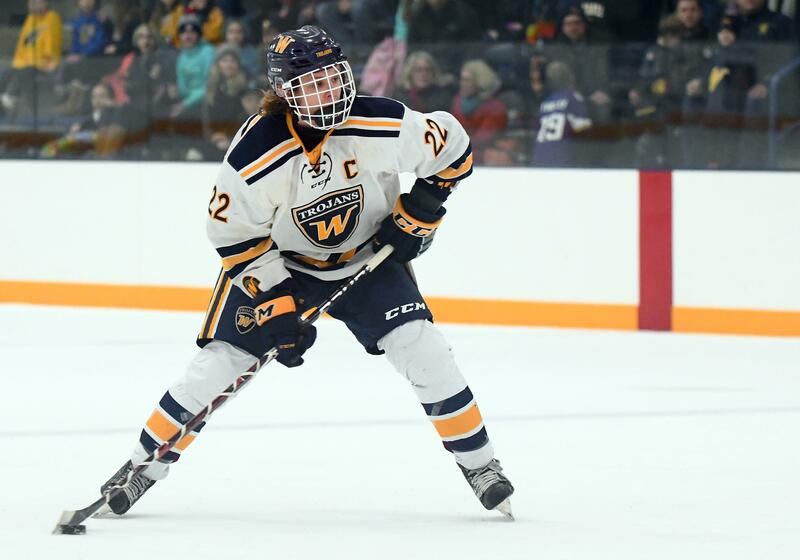 “For us to be able to be competitive with them (Wayzata) is a really big thing for our program,” Hohman said. Wayzata thought it had tied the game with 3:58 remaining in regulation, but the goal was taken off the board after some discussion by the officials; they determined there was a hand pass on the play, Hohman said. After a scoreless first period, Wayzata (5-6-1) put on the early pressure once again in the second. But it was St. Louis Park that struck first, taking a 1-0 lead just 2:35 into the period after an offensive-zone faceoff. It was the first of Sorenson’s two goals, with the other being an empty-netter with 47.5 seconds left in the game. Sorenson has eight goals this season, five of them coming in the past two games. He had success on the football field this fall and it’s carrying over to hockey, Hohman said. Baker’s game-winner came with 8:32 to play and with 55 seconds left on a five-minute power play after Wayzata took a major boarding penalty. Baker came into the zone and called for the puck from a teammate. He made a quick decision once it hit his stick. Baker has six goals on the season, coming off a two-point effort in Tuesday’s 6-0 victory over Hopkins. Capitalizing on their chances was all the more important since the Orioles were missing senior forward and team points leader Luke Mobley and freshman McCabe Dvorak, who is the team's second-leading points scorer. St. Louis Park talked about the absences before the game, Raasch said. “I think that it’s definitely something that… you notice, but I could tell it was something we shook off in the first five minutes of the game,” Raasch said. On the St. Louis Park end of the ice, Raasch came up with big saves all night. He credited the play of his defenders in front of him, including plenty of blocked shots. 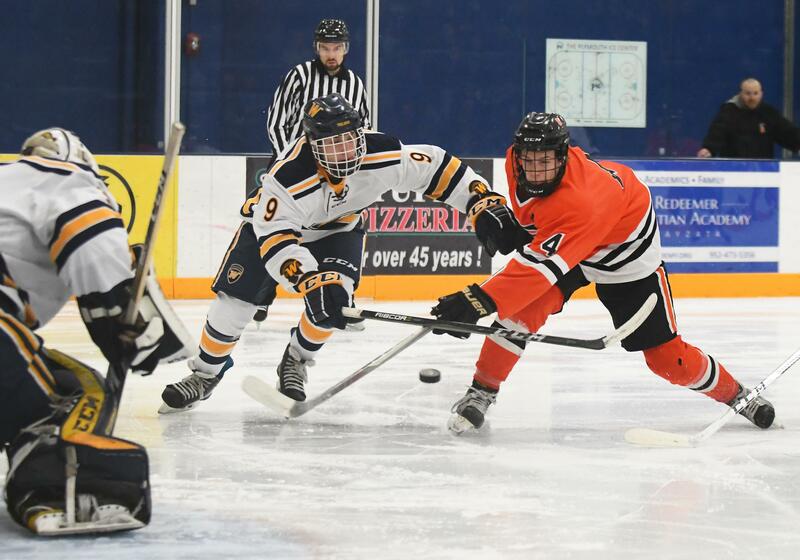 Wayzata’s offense generated chances and kept the pressure on early in the first period, resulting in several odd-man rushes and three power-play chances. Raasch stood his ground. The Orioles have won three of their last four games. This marked the second of five straight games away from their home ice. Griffin Ness scored the lone goal for the Trojans, his sixth of the season, during a five-minute major boarding penalty on the Orioles in the second period. The loss is the third in a row for Wayzata, a team that’s 2-3 on its home ice this season. St. Louis Park had two of their top scorers out of the lineup because of injuries. No matter. The Orioles still defeated Wayzata 3-1, despite being heavily outshot. The Orioles (6-5-1) got two goals from Jonathan Sorenson, a game-winner from Sam Baker and a spectacular effort from Atticus Raasch in goal for the victory in a battle of Class 2A, Section 6 teams Friday night at Plymouth Ice Center. Wayzata thought it tied the game with 3:58 remaining in regulation, but the goal was taken off the board after some discussion by the officials. A hand pass was the explanation Orioles coach Colin Hohman said he received from officials. After a scoreless first period, Wayzata (5-6-1) put on early pressure once again in the second. But it was St. Louis Park that struck first, taking a 1-0 lead just 2 minutes, 35 seconds into the period after an offensive-zone faceoff. It was the first of Sorenson’s two goals. The other was an empty-netter with 47.5 remaining in the game. He added the assist on Baker's goal midway through the third period. Sorenson has eight goals this season, with five coming in the past two games. The Orioles were missing senior forward and team points leader Luke Mobley and second-leading points scorer McCabe Dvorak. The Orioles have won three of their last four games. This marked the second of five straight games away from their home arena. Griffin Ness scored the lone goal for the Trojans, giving him six on the season. The tally came during a five-minute major penalty on the Orioles in the second period. The loss is the third in a row for Wayzata, a team that’s 2-3 on its home ice this season. Senior goalie Sawyer Andersen made 14 saves for the Trojans while Raasch had 32 for the Orioles.